Available in packs of up to 100. Great for creating custom guided routes. 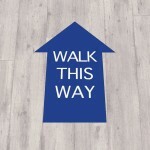 Footprint floor stickers are an ideal and fun solution in navigating from point A to B. 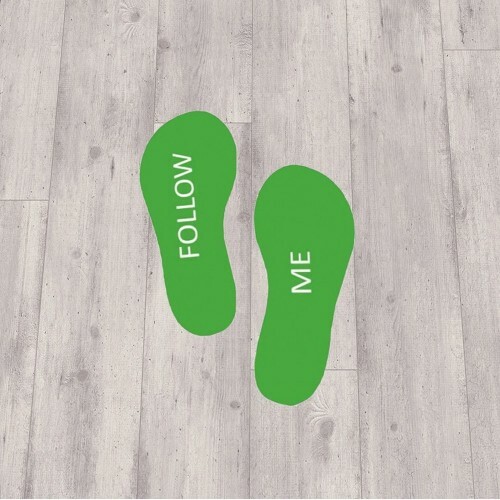 Our self-adhesive feet stickers are suitable for hard flooring or short pile carpet. To ensure durability, all floor decals are finished in an anti-slip, anti-scuff laminate. 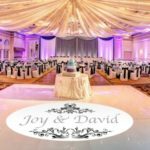 Upload your own custom design that matches our sizes per foot: 90mm (w) x 240mm (l). 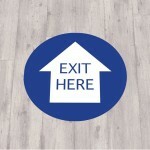 We are able to match pantone colour references to create a custom floor sticker design. To find out more information, call us today. Check out the full floor sticker range.